Ryan North was born to write 'Jughead' as he fully captures his sarcastic humor as well as his pathos. It's a shame he'll be moving on from this title but North leaves us by finishing up a distinctively funny Jughead story. The aftermath of Jughead's viral video has put his friends in an uncomfortable position. The attention from social media caused quite a rift and naturally, Jughead feels guilty and ends up shrinking from sight. Betty was his harshest critic giving him an earful that just left Jughead devasted. Luckily, Veronica, of all people intervenes to broker peace. As serious as all that may sound, it's a really funny issue. The headlines covering the incident are satirically funny and Archie being disarmed by Jughead's charm before remembering he's upset epitomizes the effect he has on people and North understands that better than anyone. Jughead is a bit of an acquired taste but like a bad puppy, you can only be mad at him for so long before falling for his quirky charm. Speaking of charm, as in Derek Charm, his lively art has kept the fun Archie Comics has been known for. With expressive expressions and body language, Charm injects humor at times without a single piece of dialogue. North and Charm make a nice combination, a symbiotic collaboration that benefits the sometimes wild shenanigans of Jughead and the Riverdale kids. They provide a smart and funny approach that keeps Jughead fresh and relatable. Unfortunately, North ends his run on 'Jughead' after a great approach of keeping the gang involved despite the name on the front of the book. Mark Waid is supposed to take over writing duties which bode well for the series if his work on Archie is any indication. 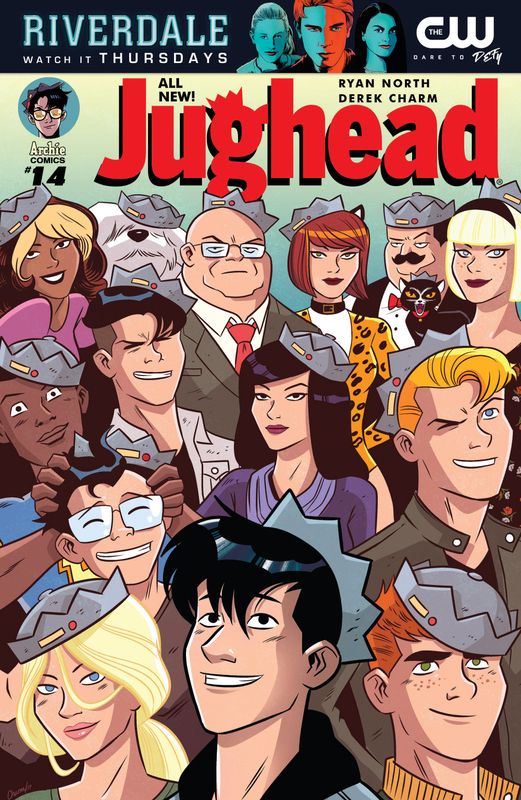 This is quite the sendoff for North who made Jughead matter.